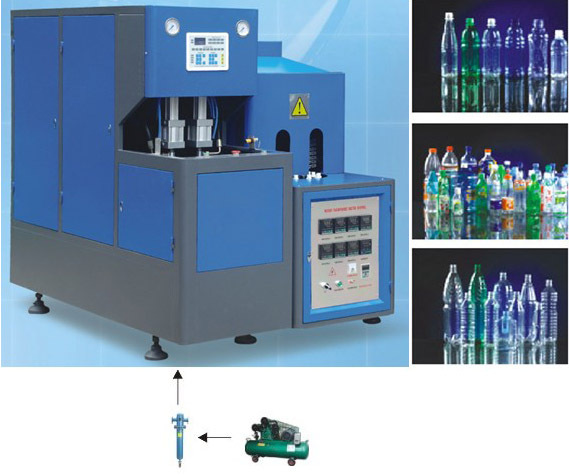 600-800BPH Two cavity semiautomatic bottle blow molding machine can produce two plastic bottle once. It is very mature PET bottle making machine. It is widely used to produce 100-2000ml carbonated bottle, mineral water, pesticide bottle oil bottle cosmetics, wide-mouth bottle etc. Pneumatic action part and bottle blowing part .It can provide sufficient and steady high pressure for blowing irregularly shaped large bottles. 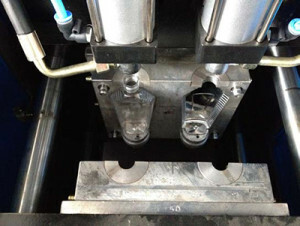 The machine is also equipped with a silencer and an oiling pump to reduce noise and friction. 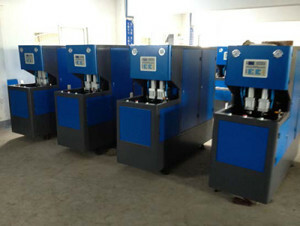 The machine is small with low cost, easy and safe to operate. And it meets the need of beverage manufacturer, polyester bottle producer in city and countryside and is ideal bottle blowing equipment for pesticide; chemistry and medical care industry and so on. Main technical specification and size. 3. Heating Power rate: rated, 14 Kw, working power rate: 7.2 Kw.